10th April 2019 – BlackBox Hosting, today announced it has achieved VMware Cloud Verified status. Organisations of all sizes rely on us to deliver mission-critical software as a managed service for their clients. 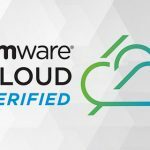 The Cloud Verified badge signals to customers that BlackBox hosting offers a service running on top of the complete VMware Cloud infrastructure. Through Cloud Verified partner services, customers attain access to the full set of VMware Cloud Infrastructure capabilities including integration and interoperability, cost optimization and flexibility. For information on how to locate a Cloud Verified partner, please visit cloudverified.cloud.